Security software vendor Comodo has patched a security weakness in its GeekBuddy remote PC support tool that could have enabled local malware or exploits to gain admin privileges on computers. GeekBuddy installs a VNC (Virtual Network Computing) remote desktop service that allows Comodo technicians to connect to users' PCs and help them troubleshoot issues or clean malware infections. The application is bundled with Comodo products like Antivirus Advanced, Internet Security Pro and Internet Security Complete. 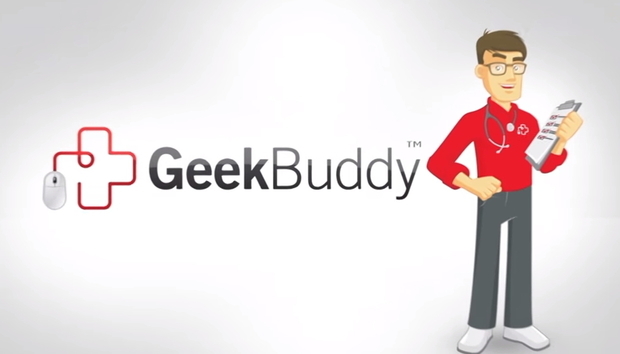 While it's not clear exactly how many PCs currently have GeekBuddy installed, Comodo claims the tech support service has had "25 million satisfied users" so far. Google security engineer Tavis Ormandy recently discovered that the VNC server installed by GeekBuddy is protected by an easy-to-determine password. The password consisted of the first eight characters from the SHA1 cryptographic hash of a string made up of the computer's Disk Caption, Disk Signature, Disk Serial Number and Disk Total Tracks. The problem with using such disk information to derive the password is that it can easily be obtained from unprivileged accounts. Meanwhile, the VNC session that the password unlocks has admin privileges. This all means that anyone with access to a limited account on a computer with GeekBuddy installed can leverage the local VNC server to escalate their privileges and take full control of the system. This is also true for any malware programs that run on unprivileged accounts or for exploits in sandboxed software. According to Ormandy, the poorly protected VNC server can be used to bypass Google Chrome's sandbox, Comodo's own application sandbox and Internet Explorer's Protected Mode. An attacker might not even need to reconstruct the password, because its value is already stored in the registry by the Comodo software, Ormandy said in an advisory. The Google Project Zero researcher reported the issue to Comodo on Jan. 19 and disclosed it publicly Thursday after Comodo informed him that the problem was fixed in GeekBuddy version 4.25.380415.167 released on Feb. 10. According to Ormandy, the company said that over 90 percent of installations have already been updated. This is not the first time that GeekBuddy has exposed computers to risks. In May 2015, a researcher reported that the GeekBuddy VNC server did not require a password at all, making privilege escalation even easier. The inadequate password found by Ormandy was probably the company's attempt to fix the previously reported issue. In early February, Ormandy reported that Chromodo, a Chromium-based browser installed by Comodo Internet Security had the same-origin policy disabled. The same-origin policy is one of the most vital security mechanisms in modern browsers and prevents scripts running in the context of one site from interacting with the content of other websites. For example, without it, a malicious website opened in one browser tab could access a user's email account opened in another tab. Comodo's first attempt to fix the same-origin policy issue was unsuccessful, its patch being trivial to bypass, according to Ormandy. The company eventually deployed a complete fix. Over the past year, Ormandy has found critical vulnerabilities in many endpoint security products, raising questions about whether security vendors are doing enough to detect and prevent such errors in their development process.